Larger than it looks. Brimming with charisma & walking distance to all the fun! This bright space is 800 s.f. of the Caribbean charm hidden away in the heart of the Marigny--which puts it pretty much close to everything. The bustling, up-and-coming St Claude Avenue is one and a half blocks away. The Avenue is alive with funky dive bars, art galleries, junk and thrift shops, and even theatres. Coffee shops are all around! And eateries of all kinds seem to pop up over night. The entire rest of the Crescent City is easily at hand. We are 10 walkable blocks from the French Quarter. Mardi Gras? The Season begins just 3 blocks from here with the irreverent Krewe de Vieux and ends in the same spot with the Ste. Anne Walking Parade--where EVERYONE is in the Krewe and the bar is set sky high for costuming! Jazz Fest? French Quarter Fest? Chaz Fest? Oyster Fest? VooDoo Fest? It seems that we have parades, 2nd lines and festivals one after the other in close formation. Or maybe you’re here for a convention. There are oodles of them here every year. The CBD is just minutes away by cab or Uber. Restaurants abound. From funky/trendy to 4 star: running the gamut from run-down-your-arm juicy poboys, thick gumbos and firey crawfish boils to the finest dining at Commanders and Bayona: from Baccanal at the far-end-elbow of the Bywater to Maurapas or The Three Muses on Frenchman Street. But even in this lush landscape, it’s sometimes just right to eat at “home”. You’ll have a spacious, fully equipped kitchen here to rustle up a home-made meal. With the Food Co-op just a block away, you can conveniently “make groceries” for whatever inspires you. We’ll have information on all the above including plantations and swamp tours and everything in between available when you arrive. You’ll just enter through the green security gate with coded entry, walk down the lighted drive to find your "home-away-from-home" with a deck in the back corner of our good-sized back yard. The entire colorful house is yours. With 800 cozy square feet, you’ll have one bedroom and one bath with a large kitchen/eating area, living room, front porch plus a deck for morning coffee or that last cocktail before you call it a day. This out-of-sight hideaway can be just the reprieve you need from the abundant action of the Crescent City. Lyft or Uber are only an app away. We are thrilled that the new North Rampart street car line is only 5 blocks away and it will get you all over town for a song. The large back yard is shared with us. We live on site in the historic front house. We have a workshop across the space from you and we have two dogs who will keep us company. They do not come into the cottage and they are never outside without us. Chances are that you will meet them! If you’re not a “dog person” another spot would probably be a better fit for you. The entire outside area is well kept and, depending on the time of year, filled with foliage and greenery. A laundry shed is located behind our house and we are happy to share it with you. Smoking on the deck and the covered patio is acceptable. Your hosts are two sisters. Stephanie has an extensive and creative background in antiques and furniture refinishing while Marna has been busy for years rehabbing as much of the historic architecture in New Orleans as she can manage. While we’ll give you your space and privacy, we ARE on hand with hopefully helpful information--or help--if needed. If you're looking for privacy that is within walking distance from a boatload of amenities, attractions and actions: this is your place! You'll have a peaceful hideaway when you want a break from the hustle and bustle. And easy access to the rest that the city has to offer when you're ready. It's a full bath--with shower and tub. We'll supply basic toiletries and all towels. 2 Large window units keep the entire space comfortable. A laundry shed is behind our house and we will gladly share both washer and dryer with you. Parking is on the street and rarely a problem a spot closeby. Yes. Just like you would expect. All cookware, dishware and silverware is provided. Kitchen is spacious and fully equipped. We will supply basic condiments. There is, however, no dishwasher. Table and chairs for 6. The bookshelves will provide you with plenty of New Orleans guides and history books. We also are building a cookbook library. The cottage is located in our large (by New Orleans standards!) back yard. It is set far back from the street and down our driveway--which provides increased quiet and privacy. This cottage has the best of both worlds. It is close to all the action New Orleans is famous for. Yet it's location will provide you with that needed respite we all need when the day is done. We love staying in this cottage. It’s spacious for two and has a well equipped kitchen and lovely outdoor sitting space. It’s a walk from the French Quarter but we like the exercise. I had such a lovely time relaxing in this comfortable, charming carriage house. Spent hours sitting on the patio listening to the birds, the church bells, the barge horns...Staying in the Marigny is such a treat and reprieve from the Quarter. Beau, the precious mixed Boxer, gave me plenty of love and Stephanie, the home owner, is great! The cottage was equipped with everything I needed for a comfortable stay. I love that you mentioned all the wonderful sounds that surround us in the Marigny. We used to call it our "symphony"! Being close to the river adds the haunting sound of the fog horns calling to one another like whales. So pleased that you made good and relaxing use of the patio. The location of the Cottage could not be more ideal--so close to the Quarter--yet removed enough to supply reprieve. Thank you so much for the kind and thoughtful review. This is the perfect spot for a couple. Very quiet, private and safe with easy parking on the street. Easy walk downtown food and downtown. Highly recommend! 4th year staying here. Will be back again! A very quiet and cozy place close by the jazz quarters and the french quarter. A nice roomy cottage in a nice backyard where you can chill out. Stephanie was very helpful with all her recommendations and on point. There are plenty of excellent places to eat very close, neighborhood bars where local enjoy time together and also places to shop for food and drinks. You know, we often hear that the cottage is so much bigger than it looks in the photos on the website...so thanks for mentioning the size! And, for chilling, the porch is perfect. When you're in the cottage, you have your own private retreat! And the neighborhood. Like you say, it is filled with funky and cool places to ear and drink all about. Thanks for you great review.... a perfect place to soak up the New Orleans vibe. Everything we needed was there. Right in the heart of what at first glance looked a bit of a run down area but it was a great location. We used the details given by Stephanie who is the owner's sister. The map she provided and explained was most helpful in going to all the local eateries and cafes which we did on numerous occasions. Walking from the house to the Streetcar at the French Market station terminus was easy even for us at 70 years! Got to ride them all and at 1 dollar 25c each what an easy way to get around. New Orleans we loved it. Brian and Sandra from England. Hello to England! So very happy that you came to love and appreciate both our cottage as well as our wonderful and eccentric city. And, there's really nothing like the street car for getting around, is there? What a bargain...and so convenient. Coffee shops abound! The local Fresh Food Co-op is one block away and groceries can be 'made' at the Mardi Gras Zone just a few more blocks away. Funky dive-bars and craft cocktail watering holes are plentiful and within walking distance. Restaurants from fine dining (The Country Club, Feelings), BBQ (The Joint), to the uniquely quirky (Lost Love Lounge), Middle Eastern (Cafe Istanbul)...you name it. It's all here. Night life litters St Claude Av and the local gold standard of Frenchman Street is plentifully at hand. Art galleries. Even two theatres (offering small presentations, slam poetry and The Goodnight show) are up the block. Rates are subject to change until booking is confirmed. 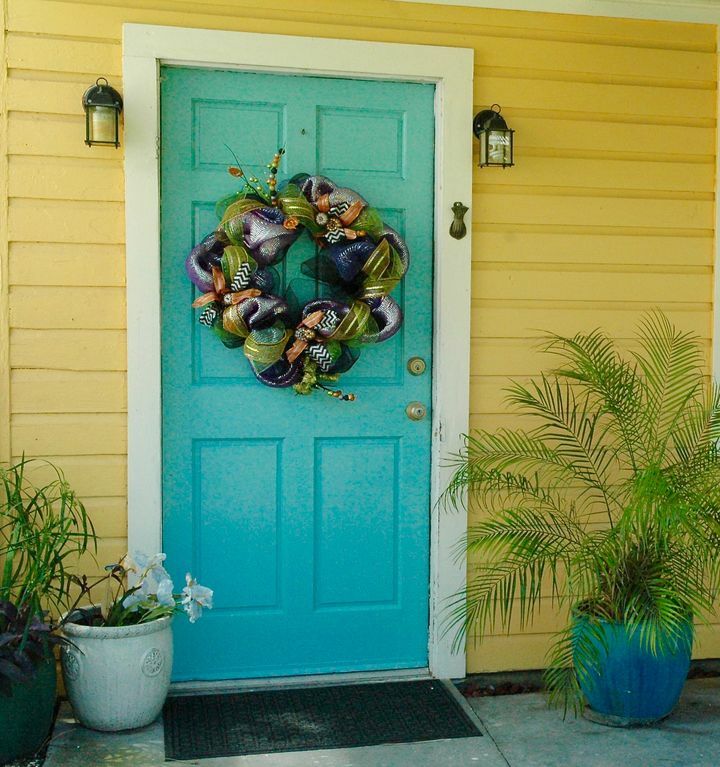 Rates for Mardi Gras, Jazzfest, holidays and other high demand seasons will vary and will be available upon request.